If you’re planning on starting a business, you need a business plan. There’s no way around it. A good business plan will help to keep your company on track and guide it in the right direction, and it will also help you to secure funding from banks, venture capitalists and other investors. On top of that, your business plan will dictate when and why you plan to scale, what the overall goal of your company is and what success looks like. It can also be used to train new employees and to show them how their job role fits in with the company as a whole. But it isn’t always easy to get started, and that’s where this article comes in. Here are seven essential steps to building a kickass business plan. 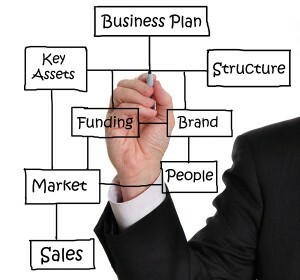 Traditional business plans are pages and pages long and go into more detail than is usually needed. Today, the best business plans are succinct and to the point, with just enough information to provide guidance while still leaving enough wiggle room for it to be changed at a later date. It’s a good idea to revisit your plan at least once every six months or so and to make sure it’s still current and relevant. 2. Highlight the problem you’re solving. Your company needs to solve problems if you expect to convince people to part with their money in exchange for the product or service that you’re offering. If you’re an accountancy firm, perhaps it’s that you save time on tax returns and increase compliance. If you’re a taxi company, you’re helping people to solve the problem of how to get from A to B. Whatever the problem is, make sure that you outline it in your business plan and that you communicate it in your marketing materials. Make sure that you specify how your business offers a solution to that problem, too. Every online company has a target audience. There are over 4 billion people connected to the internet as of 2019, and even global behemoths like Facebook and Google don’t touch all of them. That’s why you need to narrow down your target audience as much as possible so that you know who you’re trying to reach and with what message. Getting this relevancy right improves conversion rates and ultimately helps you to attract only the people you want to attract. No one’s going to give you money or invest in your business without a budget plan. Even if you plan to fund yourself, it’s a good idea to have a comprehensive budget broken down into different categories so that you can allocate resources and avoid unpleasant surprises. When you go over budget in one area, you’ll need to either secure additional funding or save some money from somewhere else. There’s a reason why we use the expression “keeping up with the Joneses”. A healthy amount of competition can be a good thing, and it’s also wise to keep an eye on what your competition is doing so that you can emulate what works for them and avoid what doesn’t. You can even monitor key metrics on their social media profiles and carry out competitor analysis to identify who’s linking to them, who’s talking about them on news sites and which influencers they’re working with. Key performance indicators (KPIs) are the metrics you use to determine whether your business is on track or not. What these metrics look like is different for every business. If you’re looking to grow rapidly then overall profit might make less sense than the total number of sales, and you might offer discounts or free postage to reach that goal. Other common goals include return on investment (ROI), social networking site engagement and even overall reach. 7. Make it your own. Ultimately, there’s no right or wrong way to write a business plan. The important thing is to make sure that it’s relevant to your business and that it’s actionable and possible to carry out. Remember that it’s also a work in progress, so if you find that something’s missing, you can always go back in and add it a later date. Writing a business plan isn’t just smart – it’s a necessity if you want to be successful in today’s fast-paced business environment. Think of it as like the map you need if you want to arrive at your destination. If you don’t have a map, you’re not going to find success – you’ll get lost along the way instead. Luckily, now you know everything you need to know to get started. Good luck.